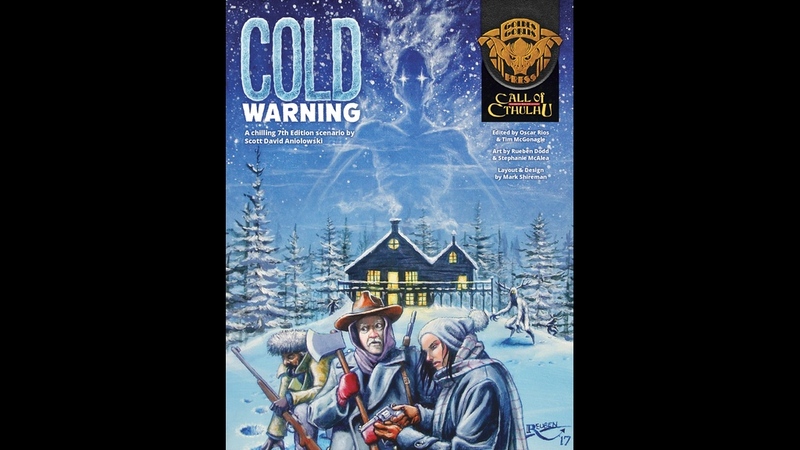 Cold Warning is a Jazz Era, Call of Cthulhu 7th edition scenario set in Arkham, Massachusetts and Hudson, Maine. What begins with the dubious suicide of Joseph Sutton and the bizarre behavior of his widow Marilyn, leads investigators to Winter Haven, a remote hunting lodge in rural Maine. Here they experience mysterious phenomena, encounter suspicious lodge guests and staff, learn of ancient legends, and confront strange and frightening creatures before finally witnessing the awesome power of a Great Old One. Golden Goblin Press is proud to present this chilling adventure from Golden Age master Scott David Aniolowski. The Kickstarter is closing in on 2x funded, but there's only 4 days left to join in if you want.